Legitimate unlock codes obtained from the manufacturer's database. Siemens officially recognizes and recommends our unlocking method. Unlock your Siemens by IMEI without damaging the phone. How to unlock my Siemens phone with doctorSIM? 1. Submit your unlock code request. 2. Insert a SIM card from a network provider different to the one your Siemens is locked to. 3. When prompted for the Network Code, type in the unlock code received from doctorSIM. Permanently unlocking your Siemens cell phone with doctorSIM couldn't be easier! Unlocking a phone is completely legal. Consumers have the right to unlock their cell phone and use it on the network or networks of their choice simply by changing the SIM card. Do I need to know the exact model of my Siemens to unlock it? No, the unlock code and simple step-by-step instructions are valid for all models. 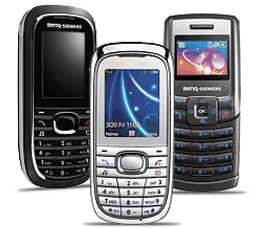 However, if you need to know this information for any other reason you can find out using our identify Siemens phone model check. How do I obtain the IMEI number of my Siemens? The only sure-fire way is by typing *#06# on the phone's dial screen. Your Siemens unique 15-17 digit code will appear on the screen. Please do not use the IMEI number printed on the packaging or receipt as it may not be correct. At doctorSIM, we only work with professional service providers that guarantee a legitimate unlock code. On the rare occasions, we cannot obtain an unlock code for your Siemens, we will return your money. Will my Siemens lock to the new network when I insert the SIM card? No, once we unlock your Siemens it will be permanently unlocked for use on any compatible GSM network in the world. You will never have to unlock your phone again as it will never relock in the future. Do you remove cell phones from the blacklist? Unfortunately, we can't. Our cell phone unlocking services only network unlock the phone and cannot remove this additional security measure. Only the network that reported the phone can remove it from the blacklist. Why should I unlock my Siemens with doctorSIM and not at a local store? With doctorSIM, you will save time, money, and effort because you can submit your request online from the convenience of your home or office. You will also be able to keep using your Siemens throughout the unlocking process. In addition, you'll also avoid the possibility of damaging your cell phone as it doesn't require software downloads or hardware alterations. 100% guaranteed or we'll return your money. The warranty of your Siemens will remain valid. If you find a lower price on a similar website we'll match it. You can continue to use your phone while it is being unlocked. Our IMEI-based unlocking method is totally legal. No technical knowledge required to unlock your phone. Our unlocking services are available for all Siemens models. We have customer service specializing in cell phone unlocking to assist you. Full guarantees that only the global market leader in unlocking phones can give you.